The Building Information Modeling is a process of creating a digital representation of physical and functional characteristics of a facility. It is widely used in construction management to coordinate significant disciplines such as structural, mechanical, electrical and architectural to support the decision making processes. 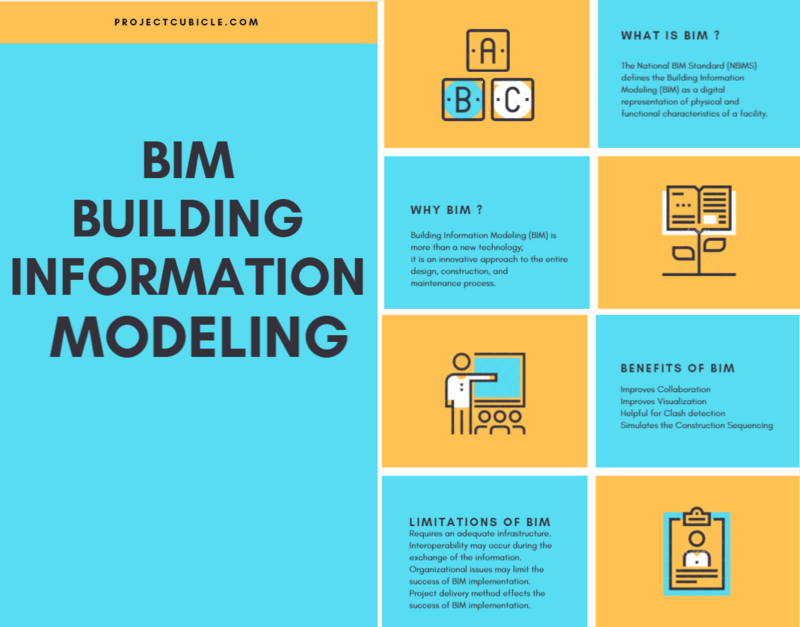 The purpose of this article is to discuss the basics and provide a clear understanding of the Building information modeling (BIM). BIM is not a new concept and the term “building model” was first discussed in papers in the 1980’s. The “Building Information Model” term was first used by G.A. van Nederveen and F. P. Tolman in a paper. However the term “BIM” became popular for more than 15 years. 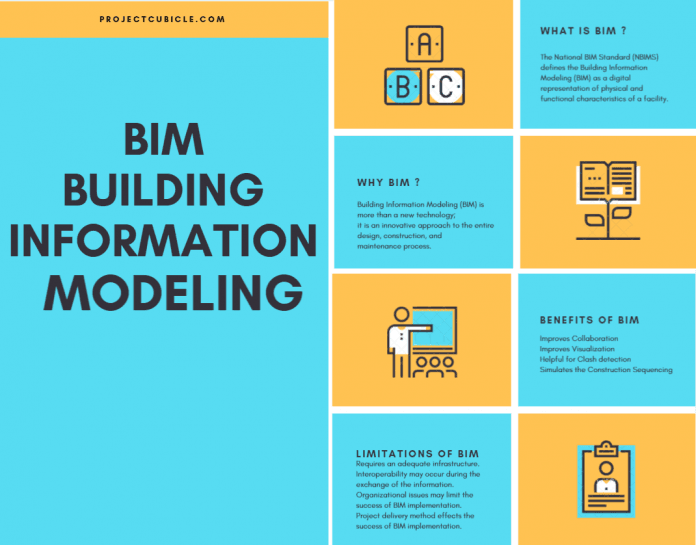 The Autodesk released a guide about building information modeling (BIM) in 2002 and this influenced other software developers and the started to improve their programs for the concept. Building designs comprise two dimentional drawings in general. The building information modeling (BIM) boosts this beyond 3D by adding the width, height and depth dimentions to the plans with time as the fourth dimension and cost as the fifth dimention. This provides a better understanding for the project because designs, time and cost are incorporated in the BIM model. Construction industry is one of the largest industry in the world. A large amount of employees are working in the construction industry in all over the world. The construction industry has experienced a steady decrease in its labor productivity over the last 50 years  and construction projects have simultaneously become complex, with many more project stakeholders involved as companies diversify into narrow areas of special expertise . Most of the construction projects are not completed on time and budget because of the inefficient and disintegrated processes. On the other hand, the construction industry is the one that uses technological solutions for improving its projects productivity and efficiency. Building information modeling (BIM) is one of the technological solution that have been changing the face of the industry by creating a whole new working environment. The National BIM Standard (NBIMS) defines the Building Information Modeling (BIM) as a digital representation of physical and functional characteristics of a facility. A BIM is a shared knowledge resource for information about a facility forming a reliable basis for decisions during its life cycle ; defined as existing from earliest conception to demolition. Incorporation of BIM by a construction company can decrease construction project costs, increase productivity and quality. During the operation and maintenance phase, the as-built BIM model provided by a construction company can be also used for a wide range of facility and asset management functions, supporting collaboration and procurement relationships based on the sharing of intelligent building data with existing facility management and asset management systems. However, process problems, technical issues, investment, training and organizational proble ms effect the success of BIM adoption around the world. On the other hand, more than 71 % of the industry in the United States and 58 % in Korea are using BIM or BIM-related tools today. Construction companies use BIM as a coordination, visualization, communication, field management, marketing, and prefabrication tool for their projects. The BIM provides many advantages to the projects. Below are some of the advantages of BIM (Building Information Modeling). Many construction companies in the industry are resistant to technological changes. This creates risks during the implementation of BIM (Building Information Modeling). Below are some of the limitations of the BIM. Lack of collaboration, cooperation of parties involved in the project may cause unsuccessful implementation. Project delivery method effects the success of BIM implementation. Organizational issues may limit the success of BIM implementation. Lack of technologically skilled staff effects the success of BIM implementation and experienced older staff may resist changes. Investment such as buying the software and training the staf is required for BIM implementation and it may be costly. Interoperability may occur during the exchange of the information. The relationship between liability for errors and software warranties may be unclear in the scope of some projects. Although BIM (Building Information Modeling) offers many advantages over the lifecycle of the project, due to existing technical, legal, and organizational limitations, BIM (Building Information Modeling) is primarily used for clash detection, visualization, decision making, collaboration, construction sequencing and automated material quantity takeoff purposes among industry players. Many legal, organizational and technical issues still need to be addressed. The successful adoption and implementation of BIM highly depend on the human factors rather than the technical issues, the first step of successful BIM implementation process starts with the willingness to change the current workflow. However, nontechnical organizational readiness was considered relatively more urgent than technological readiness (or maturity), especially during the early adoption period, although BIM (Building Information Modeling) is interlaced with advanced computing technologies. This indicates that nontechnical items should be ready prior to the technical implementation of BIM (Building Information Modeling). In this article we discussed the basics of the Building information modeling (BIM). We hope that it will be useful for the project management teams. NBIMS, The National BIM Standard. Very nice Blog!! Yes, Construction industry is one of the largest industry in the world & Bim is big advantage to the projects. Really, BIM is a very important shared knowledge resource. By incorporating BIM in a construction company can decrease construction project costs, increase productivity and quality efficiently & instantly. We recommend to adopt Bim in every big construction companies or developers. Thanks.